Website Design is no longer considered as small time activity for any business, be it in Mumbai or New York. With the growth of Internet, websites have become the best marketing and informational tool to market ones product or service, be it to its local audience from specific area e.g. Kandivali, Borivali, Malad, Andheri etc., or a regional target market like Mumbai, Pune, Ahmedabad, Nasik, etc. or International customers for exporters and manufacturers for India, USA, UK, Australia, etc. A good website design with some nice content can help you to improve your brand image, increase your sales and deliver better customer satisfaction levels. Today, a website is essential for every company or organization. It's must to have a nicely designed website as it reflects the company's position and credibility. A properly planned website can also help companies to reduce its cost of sales, this is possible because websites are one of the most cost effective and reasonable marketing tool and can be affordable to any small company also. Websites were mainly considered as information distribution system wherein a visitor can get all the required information about the particular company, but with increasing use of search engines like Google, Yahoo and Bing, websites are now considered as marketing tool and a right place to get new customers for your business. By having a search engine friendly website design for your company and then getting the same promoted by a Search Engine Optimization company which can deliver you top search engine rankings for key-phrases Eg: Website Design Mumbai, Web Design Company Mumbai, etc. You will be able to generate much more qualified leads and increase your organizations online visibility with our SEO friendly website design. Also search engine optimization is easier said than done and not all web design companies or website designers in Mumbai can understand the intricacies of SEO. With SAVIT, you don't have to bother about the both (Website Designing and Search Engine Optimization) as we not only provide Web Design services from our Mumbai office, but also deliver SEO services to many of our satisfied clients since 2004. Many of our clients in Mumbai and across the globe are reaping the benefits of top search engine placements and have successfully accelerated their growth rate. 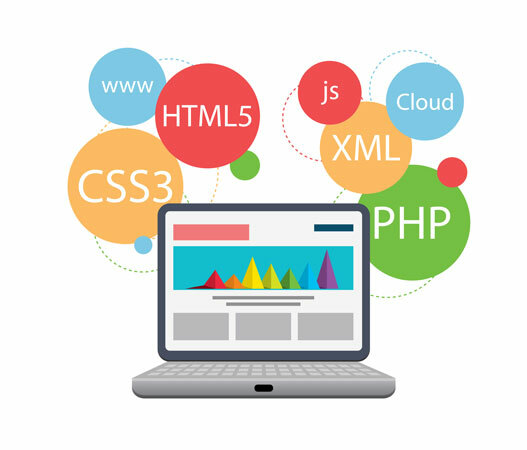 However with so many website designers in Mumbai it has become difficult to select the right website design company who understands the subject of website design, web hosting, website promotion as well as website maintenance. We are a medium sized Website Design company with our office in Mumbai, backed by the team of people with background of Managerial, Marketing and Creative Experience, which helps us to understand your needs and requirements in a better way. Over the years we have designed and developed over 500+ websites for various businesses and individuals like hotels, medical, institutes, doctors, industrial tools and equipments, office stationery, etc with different platforms and can offer you one stop solution for all your website design needs. In short, your search for a Website Design Company in Mumbai has just got over. So you have a website and are planning to revamp it because you wish to have a more appealing web page, easy navigation, faster download, better design, fresh content, flash animation, latest technology and new features. But before finalizing on any web redesign company you need to understand the fact that website redesigning requires more technical expertise and understanding of the subject as well as SEO techniques then just designing a new website. We at SAVIT, understand the about SEO (web promotion) well where we provide maximum benefit to the redesign site from your old web URLs. Although you had a great website a few years ago which was looking like a winner, today it may look dull, old and tired. Another reason why all growing organizations should consider to revamping their existing site is to help them reposition companies brand or corporate image, reflect the growth the company has achieved, redo all the content and have more quality text matter on the new site rather than having some outdated content on the site. Let us know your requirement along with your current website address and we will get back to you with a website redesign proposal at a nominal cost.